Iwasaki files are quality files made in Japan. 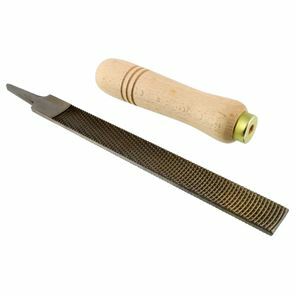 They cut as fast as rasps and as clean as files, hence the name Wood Carving Files. Perfect voor carving a guitar neck. Iwasaki medium wood carving file with flat surface. Black rubber handle. 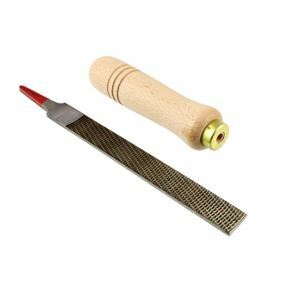 Ideal for hand carving guitar necks and acoustic guitar bridges. Iwasaki half-round medium wood carving file. 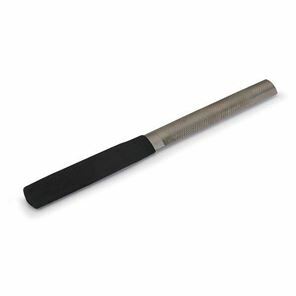 Black rubber handle. Ideal for hand carving guitar necks and acoustic guitar bridges. 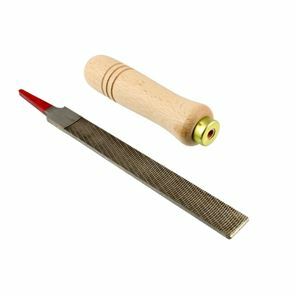 Iwasaki Fine wood carving file with flat surface. 20mm (0.79 inch) x 200mm (7 and 7/8 inches). Comes with wood handle. 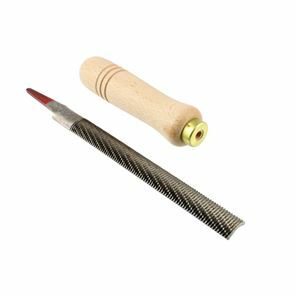 Iwasaki fine wood carving file with flat surface. 16mm (5/8 inch) x 150mm (5.9 inches). Comes with wood handle. Iwasaki extra-fine wood carving file with flat surface. 16mm (5/8 inch) x 150mm (5.9 inches). Comes with wood handle. Iwasaki Medium wood carving file with flat surface. 20mm (0.79 inch) x 200mm (7 and 7/8 inches). Comes with wood handle. Iwasaki half-round extra-fine wood carving file. 16mm (5/8 inch) x 150mm (5.9 inches). Comes with wood handle.